A Nigerian woman who knows the value of education is currently trending online after she made a grand entry back to school after child bearing. 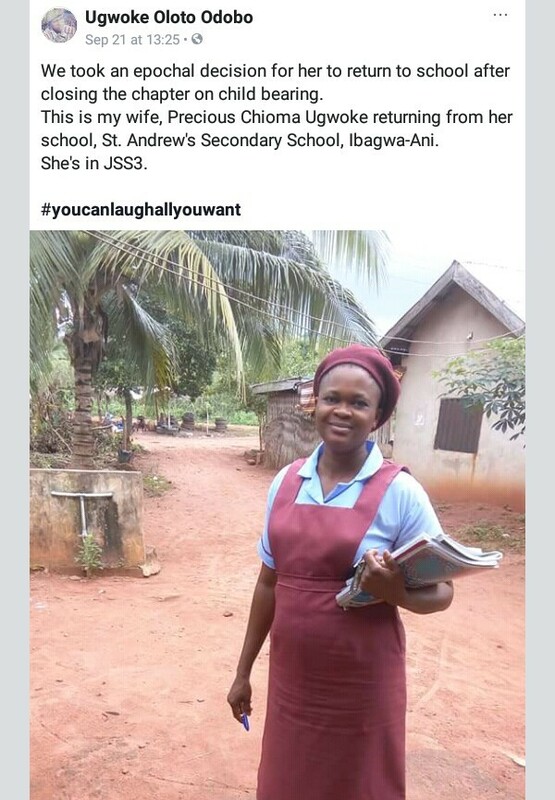 The Nigerian woman according to sources is reportedly a JSS3 student of St. Andrew’s Secondary School, Ibagwa-Ani, Enugu State . 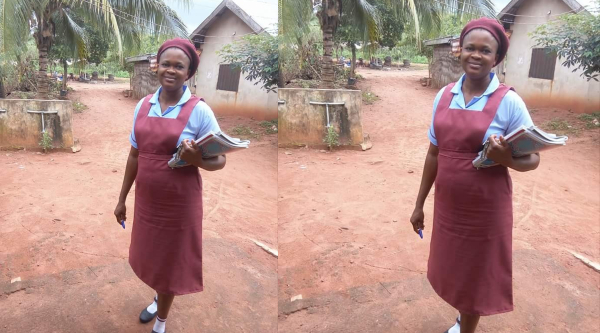 This is my wife, Precious Chioma Ugwoke returning from her school, St. Andrew’s Secondary School, Ibagwa-Ani. She’s in JSS3.